Rugged LCD monitors built in the U.S.A. for military, industrial, air traffic and marine uses. General Digital is the established expert in designing and manufacturing rugged LCD monitors and related products that easily withstand harsh environments, such as those commonly found within industrial and military applications. In addition, we are able to enhance and customize our display products to meet unique and specialized requirements. Optical enhancements for your LCDs and other display technologies. Optical Bonding Laboratories understands the challenges faced by today's display users: light-emitting displays, including CRT, LED, OLED, LCD, plasma, touch screens, and other technologies, all suffer visibility problems when exposed to uncontrollable outdoor lighting, which often means high ambient lighting levels. Displays with high optical quality, sunlight readability, and fast, reliable manufacturing solutions are a must, and we are dedicated to providing superior display enhancement and optical bonding technologies to meet your application needs. 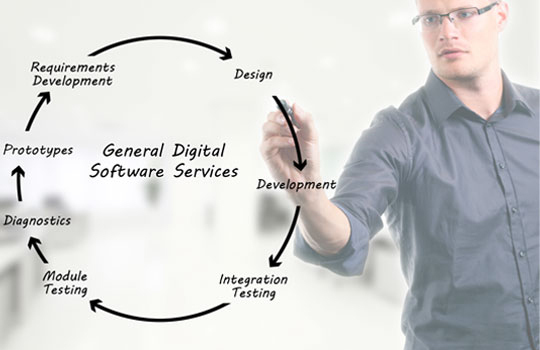 We provide full life-cycle software engineering, from concept and design to testing. Our Software Services Group is a team of creative, experienced and dedicated software professionals who possess a broad range of software development experience. We are requirements and test driven, and thus will perform as much of a project as you’d like, including requirements development, prototyping, software design, development, and integration testing. Our IV&V Testing Group gives our Development Group a built-in advantage over our competitors by creating a Full Lifecycle Software Development environment which saves time, money and gets products to market quicker, all with an unsurpassed level of quality and safety.